This is the seventh installment of a series highlighting TV industry thought leaders who spoke at or attended WideOrbit Connect 2018. Check out the previous interviews here. 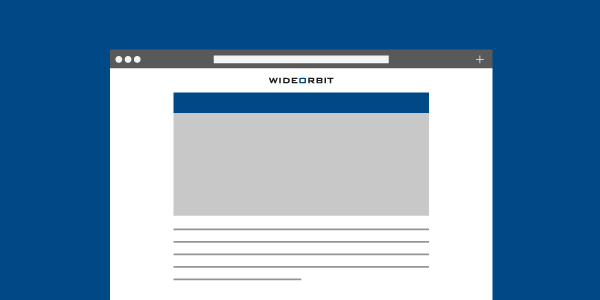 WideOrbit recently announced a partnership with Revenue Analytics, an Atlanta-based leader in business intelligence, to use traffic data as a basis for predictive analytics for media companies. Its President Zach Cross discussed the collaboration at WideOrbit Connect for TV and Radio, and also at a session on data science at WideOrbit Connect Networks earlier this month. The Revenue Analytics platform uses advanced machine learning techniques to project future demand, impressions, and responses to pricing changes. These predictions can then in turn be used by companies to inform decisions on pricing and inventory management. “We leverage WideOrbit Analytics data and all of the work they’ve done to combine disparate data sources. We then use that to predict future behaviors and recommend specific actions to TV and radio clients,” says Cross. In addition to media companies, Revenue Analytics client portfolio includes well-known businesses in the consumer packaged goods, travel, automotive, and distribution industries, among many others.